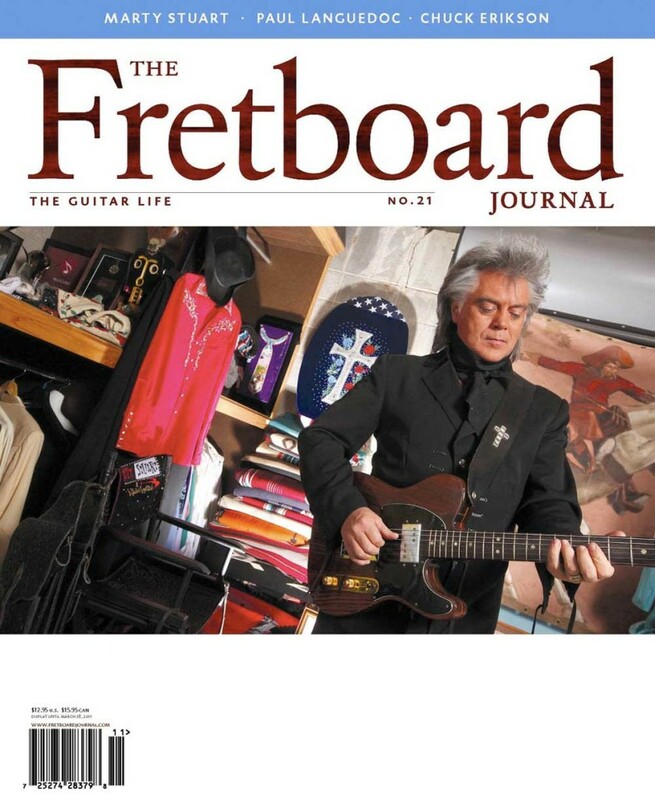 Country legend Marty Stuart walks us through some of the gems of his collection of country music memorabilia, including Pops Staples’ Telecaster (pictured on our cover), Johnny Cash’s Martin D-45 and much more. Stuart also tells writer Geoffrey Himes about his influences, his recent recording projects and Sparkle & Twang, the travelling museum exhibition featuring his collection. 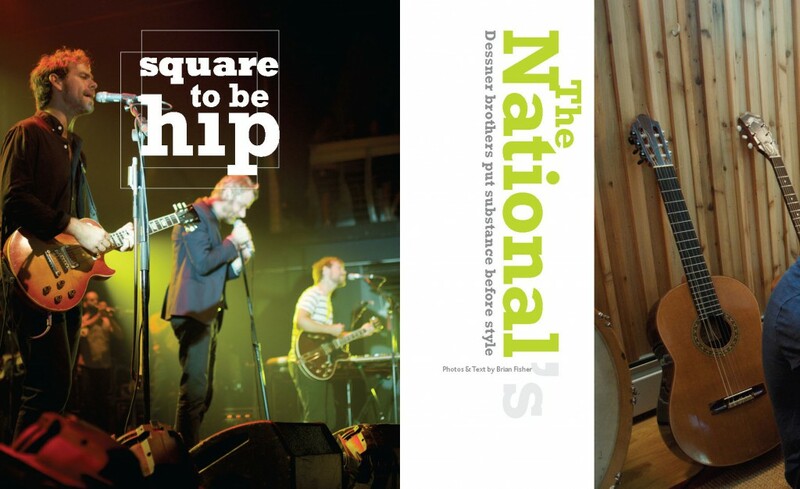 Brian Fisher interviews the National, the indie-rock darlings of Brooklyn who also happen to have some great guitar tales. Paul Languedoc, acclaimed luthier and sound tech for Phish, sits down with fellow Vermont builder Creston Lea, to talk shop about electric guitars, working with clients and much more. 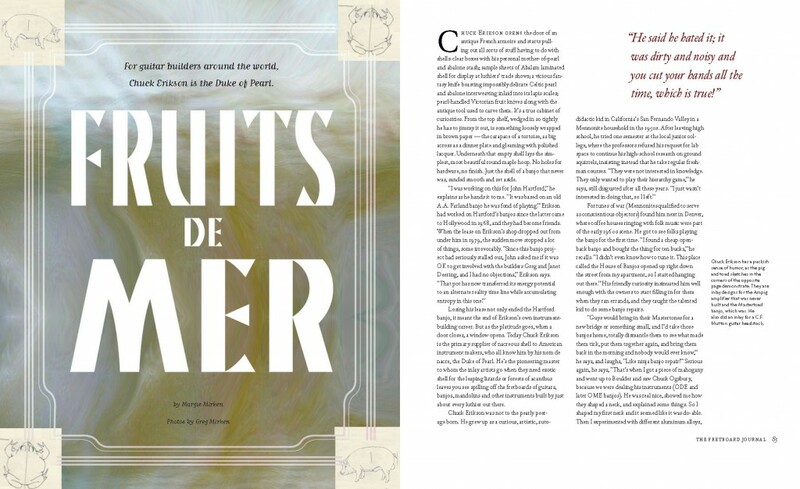 Dobro great Tut Taylor is interviewed by Orville Johnson, himself no slouch in the resonator guitar scene. Up-and-coming archtop builder Erich Solomon reveals an unlikely influence on his guitars: Dan Brown (yes, the Da Vinci code author). 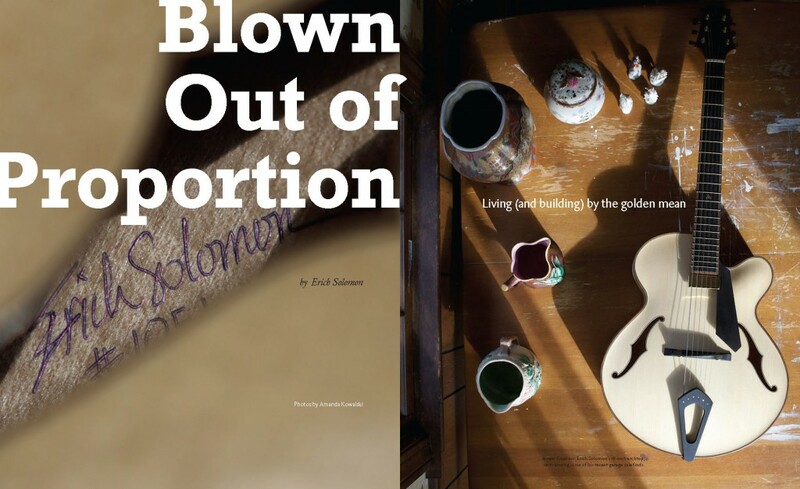 Gorgeous photographs of Solomon’s guitars and workshop by Amanda Kowalski. Plus: Guitarist Scott Law, British singer-songwriter Nic Jones, inlay supplier Chuck Erikson and page after page of gorgeous guitars. Paul Languedoc is best known for the guitars he’s built for Phish. Creston Lea is best known for his hand-painted art guitars. Matt Bushlow follows the two Vermont luthiers to their favorite coffee spot and catches them discussing how they both entered the guitar-building trade, the craft of dealing with customers and their current creations. Amanda Kowalski snaps pictures of each builder’s workshop. Brian Fisher goes to Brooklyn, New York to talk to the guitar-toting brothers in indie-rock band the National. Aaron and Bryce Dessner show off some of their tools of the trade, including a Smallman classical that probably won’t be showing up at any rock venues anytime soon. 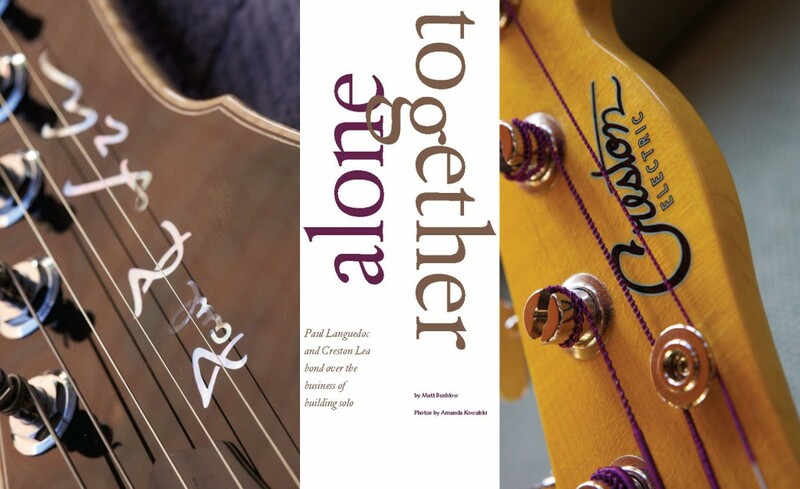 Luthier Erich Solomon recounts the magical moment where his archtop designs changed direction, all thanks to a passage in Dan Brown’s Da Vinci Code. Photographer Amanda Kowalski captures some of Solomon’s stellar new creations. Orville Johnson first met Dobro legend Tut Taylor in 1971 at Bill Monroe’s Bean Blossom Special. Here, 40 years later, he interviews the music legend at Taylor’s North Carolina home about John Hartford’s Aereo-Plain Band, the musician’s unique technique (using a flatpick instead of fingerpicks) and much more. Photographer Randall Hill snapped pictures of Taylor’s unique guitar collection and also filmed this insightful mini-documentary on the music legend. One of the more colorful characters in the world of guitar making has to be Chuck Erikson, the bearded, bedazzled “Duke of Pearl.” Today, he supplies most of the world’s great luthiers (and many of the top acoustic and electric manufacturers) with their inlays, but, as Margie Mirken discovers, that barely scratches the surface of his unique biography. From Southern California banjo maker to Northern California gold miner and now guitar parts businessman, Erikson has done it all. 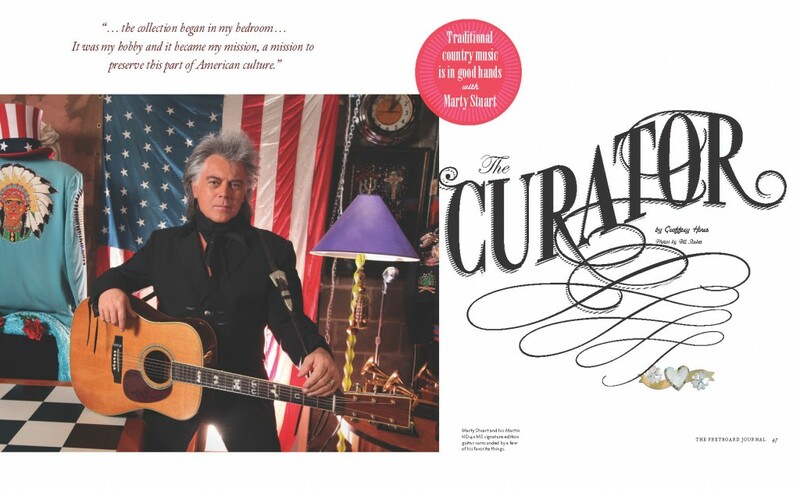 Frequent FJ contributor Geoffrey Himes pens one of the most insightful portraits of Marty Stuart to date, interviewing the country legend about everything from his mandolin playing days alongside Lester Flatt to his recent projects. 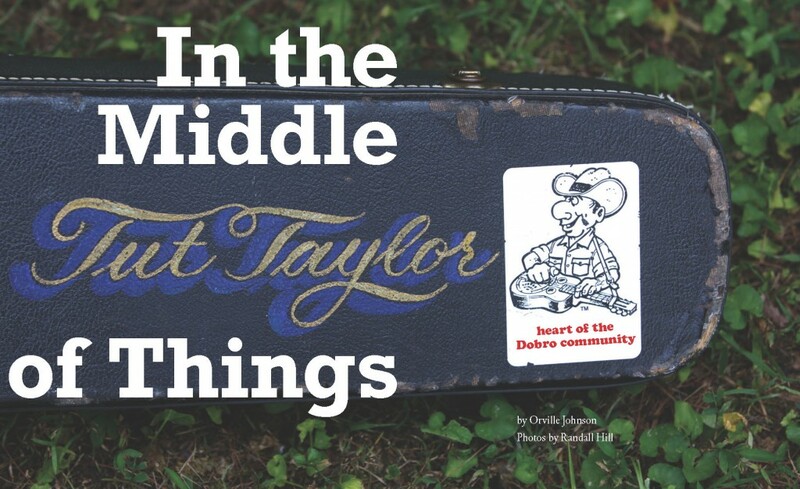 Meanwhile, Stuart walks photographer Bill Steber through some of his coveted country music memorabilia, including guitars owned by Johnny Cash and Pops Staples (and more than a few Nudie suits).